This year is flying by. It seems like it was New Year's just a month or two ago! 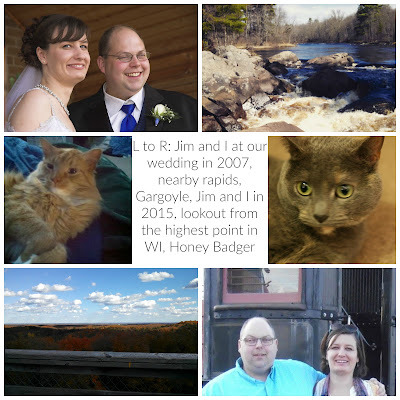 I've been busy but not with anything that really seems worthy to blog about. Maybe I'll give you all an update of randomness in a week or so. 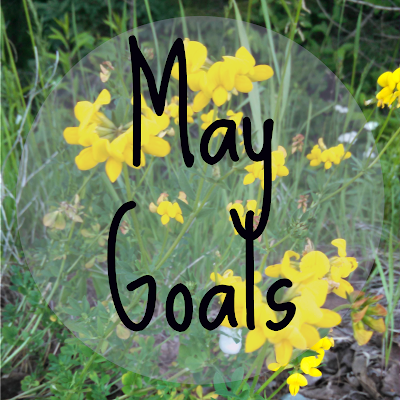 In the meantime, here's a much belated recap of April and my goals for May. Read 4 books. Nailed it. I actually got five done. Daily devotions and prayer time. I did great on the devotions and spent time praying most days. Exercise five times a week for at least 30 minutes a time. I walked for at least forty-five minutes outside. Walking outside is so nice. There's birds to listen to, flowers to see, occasional animals to watch. Not to mention all that sunshine! I love it! Limit spending on unessentials to $20. Well, I did pretty good, but didn't make it the whole month. There will be a post in a day or two detailing how it all went. Declutter house. I made it through the kitchen, and my closet, but am continuing to work on it. Spend half an hour writing three times a week. Walk 10,000 steps three times a week. Continue to exercise at least 30 minutes a day five times a week. Finish my prayer cards that I started a few months ago. Increase veggie intake and decrease grains. Try to eat grain free three times a week. Daily devotions and prayer time. Spend five hours a week on blog stuff. I have a feeling that a lot of these are going to be refined and/or retried in June. And, if you're interested, you can go to My So Called Chaos, and check out what everyone is working on in May. You did a great job with April Goals. I love your May Goals, so healthy emotional, physical, and spiritual!